Palm Sunday is on the horizon, and with it come hundreds of fresh palm fronds just waiting to be transformed into crosses. You can brush up on your palm-weaving skills by viewing the video. 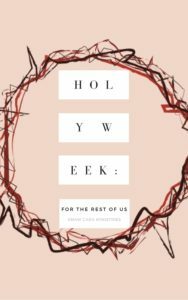 ​Holy means “set apart.” Christians set apart an entire week - Holy Week - to recall the events surrounding the suffering, Death, and Resurrection of Jesus. Find information and activities for Palm Sunday, Holy Thursday, Good Friday, and Holy Saturday. This page from Loyola Press includes ​Devotions and 3-Minute Retreats, Activities and Articles to help you to make Holy Week Special. ​Click here for Scripture References, Text of this Reflection, and Biographical Information for ANDREA KOVERMAN, SC. ​Click here for Scripture References, Text of this Reflection, and Biographical Information for Kimberly Lymore. 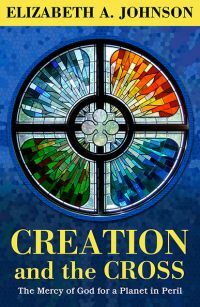 In this fresh creative approach to theology, Elizabeth Johnson asks how we can understand cosmic redemption in a time of advancing ecological devastation. In effect, how can we extend the core Christian belief in salvation to include all created beings. Immediately this quest runs into a formidable obstacle: the idea that Jesus’ death on the cross was required as an atonement for human sin—a theology laid out by the eleventh-century theologian Anselm. Constructing her argument (like Anselm) in the form of a dialogue, Johnson lays out the foundations in scripture, the teachings of Jesus, and the early Church for an understanding that emphasizes the love and mercy of God, showing how this approach could help us respond to a planet in peril. Click the image at the left to download this free ebook from Anam Cara Ministries. You will find scripture, prayers, reflections and artwork for each day of Holy Week. Holy Week is the last week of Lent; the week immediately preceding Easter Sunday. It is observed in many Christian churches as a time to commemorate and enact the suffering (Passion) and death of Jesus through various observances and services of worship. Holy Week begins with Palm Sunday. This Sunday observes the triumphal entry of Jesus into Jerusalem that was marked by the crowds who were in Jerusalem for Passover waving palm branches and proclaiming him as the messianic king. The Gospels tell us that Jesus rode into the city on a donkey, enacting the prophecy of Zechariah 9:9, and in so doing emphasized the humility that was to characterize the Kingdom he proclaimed. The irony of his acceptance as the new Davidic King (Mark 11:10) by the crowds who would only five days later cry for his execution should be a sobering reminder of the human tendency to want God on our own terms. This Sunday is also known as Passion Sunday to commemorate the beginning of Holy Week and Jesus’ final agonizing journey to the cross. In Catholic tradition, the conclusion to the week is called the Easter Triduum (a triduum is a space of three days usually accompanying a church festival or holy days that are devoted to special prayer and observance). The Easter Triduum begins Thursday evening of Holy Week with Eucharist and concludes with evening prayers Easter Sunday. Though chronologically three days, they are liturgically one day unfolding for us the unity of Christ's Paschal Mystery.The single celebration of the Triduum marks the end of the Lenten season, and leads to the Mass of the Resurrection of the Lord at the Easter Vigil. ​The events that are clustered on this last day before Jesus was arrested are commemorated in various ways in services of worship. These include Jesus' last meal together with his disciples, commemorated by the Mass of the Lord's Supper. In the Synoptic Gospels (Matthew, Mark, and Luke), this last meal was a Passover meal, observing the exodus of the Israelites from Egypt when death "passed over" the Hebrew homes as the tenth plague fell upon the Egyptians. In John’s account the Passover would not be celebrated until the next day. And while the Synoptics recount the institution of Eucharist during this final meal, John instead tells us about Jesus’ washing the disciples’ feet to illustrate humility and the spirit of servanthood. Later that night, as Jesus and His disciples were praying in the Garden of Gethsemane, Jesus was betrayed, arrested and taken to the house of Caiaphas the High Priest. Friday of Holy Week has been traditionally been called Good Friday or Holy Friday. On this day, the church commemorates Jesus’ arrest (since by Jewish customs of counting days from sundown to sundown it was already Friday), his trial, crucifixion and suffering, death, and burial. Since services on this day are to observe Jesus’ death, and since Eucharist is a celebration, there is traditionally no Mass on Good Friday. Also, depending on how the services are conducted on this day, all pictures, statutes, and the cross are covered and altar candles are extinguished. The traditional Catholic service for Good Friday was held in mid-afternoon to correspond to the final words of Jesus from the cross (around 3 PM, Matt 27:46-50). However, modern schedules have led many churches to move the service to the evening to allow more people to participate. Usually, a Good Friday service is a series of Scripture readings, a short homily, and a time of meditation and prayer. This is the seventh day of the week, the day Jesus rested in the tomb. In the first three Gospel accounts this was the Jewish Sabbath, which provided appropriate symbolism of the seventh day rest. It is traditionally a day of quiet meditation as Christians contemplate the darkness of a world without a future and without hope apart from God and his grace. The Triduum (TRIH-du-um) is the time of the Church year when we celebrate the passion, death, and resurrection of Jesus Christ. This three-day celebration begins with the Holy Thursday Mass and continues on Good Friday with the Liturgy of the Lord’s Passion. At the end of this liturgy, we leave the church in silence, waiting to celebrate the glory of our Lord’s resurrection. Then, on Saturday at sun down, the Church re-gathers to celebrate the final, and most grand, moment of the Triduum: the Resurrection of our Lord. The Triduum is somewhat like a three-day prayer marathon, and if you are a novice there may be some rituals that are unfamiliar to you. This guide will help you walk and pray through the liturgies of the Triduum.